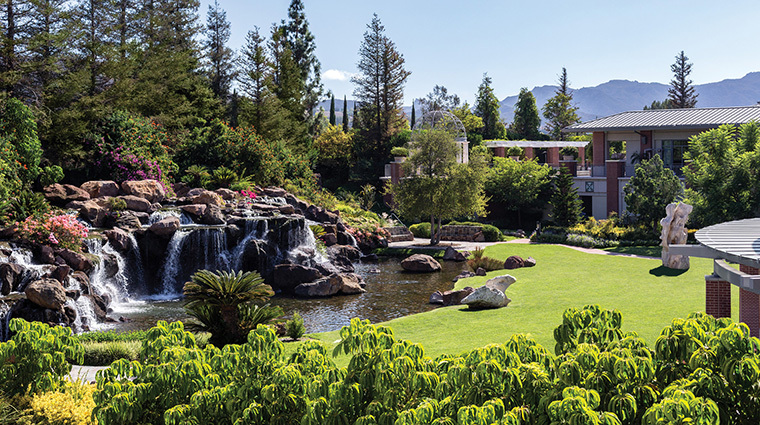 Set on 20 acres of exotic gardens and waterfalls, Four Seasons Hotel Westlake Village in suburban Los Angeles is a sophisticated respite. 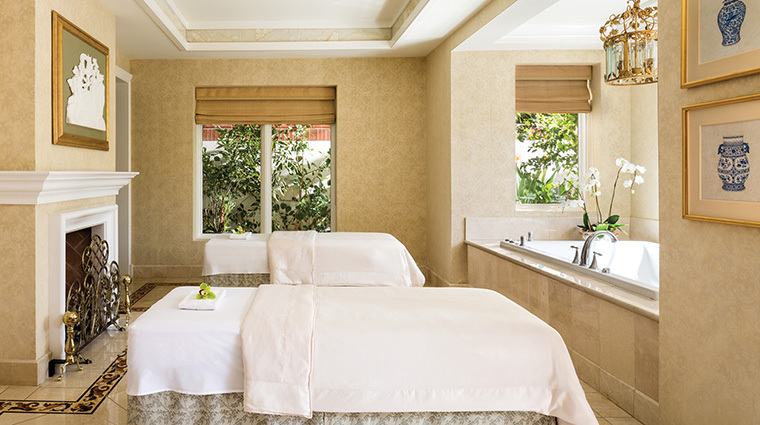 Home to the largest spa in the Four Seasons collection, which includes a dedicated wellness center, the hotel hosts many guests looking to get healthy and relax. 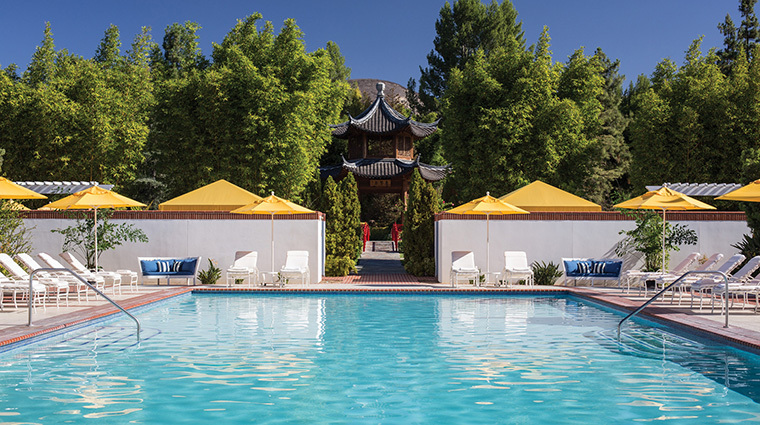 Located in the foothills of the Santa Monica Mountains, the hotel is a hidden gem. 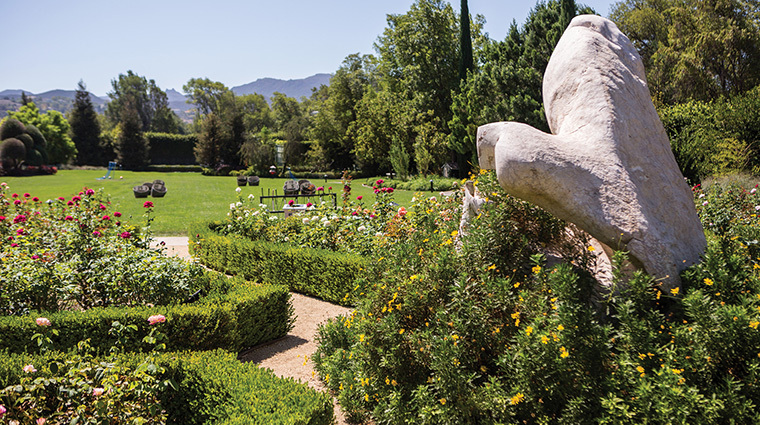 It’s roughly an hour from downtown Los Angeles and is an ideal local staycation getaway. 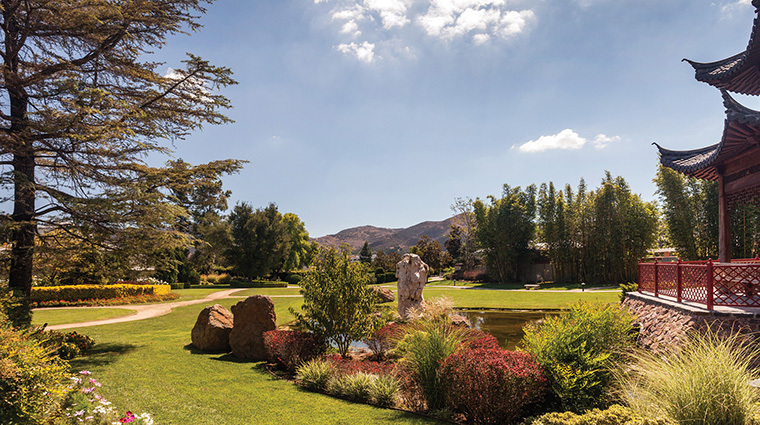 For out-of-towners, Four Seasons Hotel Westlake Village is roughly a 40-minute drive from Los Angeles International Airport and centrally located for exploring Malibu (about a 30-minute drive) and Santa Barbara (a one-hour drive). The hotel is abuzz year round due to the abundant event and meeting spaces. With the natural beauty of the grounds and nearby mountains, it’s an impressive setting for events, be it an intimate gathering of 10 or a wedding for up to 600 guests. 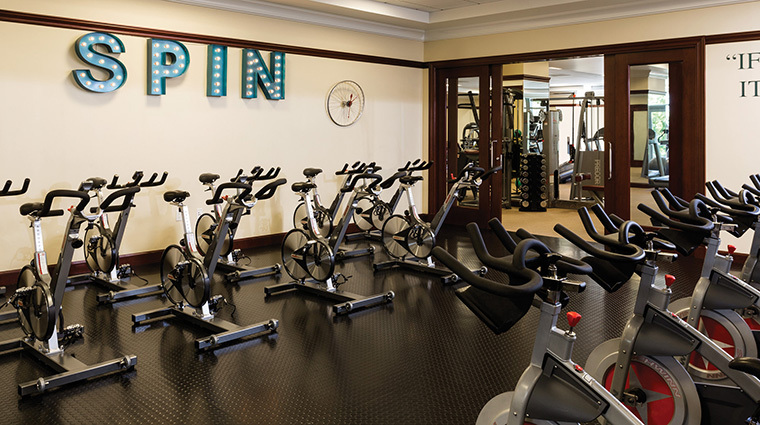 The expansive 16,000-square-foot fitness facility, located next to the hotel’s indoor pool, features 24 cardiovascular stations that include treadmills, ellipticals, cycles and climbers, plus weights and a stretching area. Classes available throughout the day include spinning, Pilates and yoga. You’d never expect to find such stunning and vast grounds behind this luxury hotel. Walk the path that winds through the hotel’s property for great views of the greenhouse, the authentic Chinese pagoda and Waterfall Lawn. 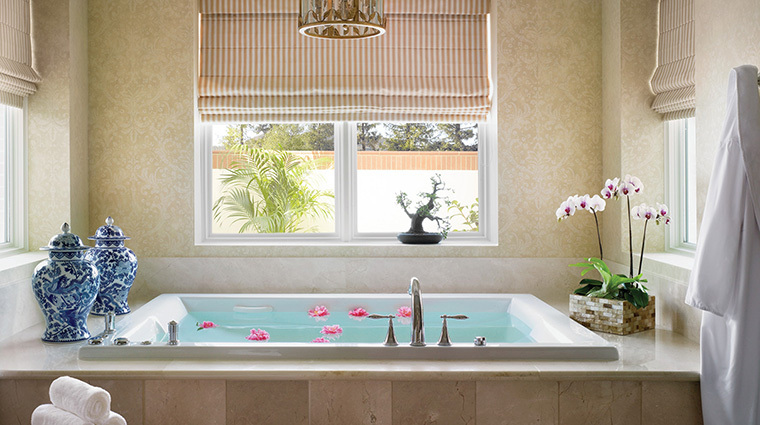 The vast spa is reason alone to come to the Westlake Village hotel. 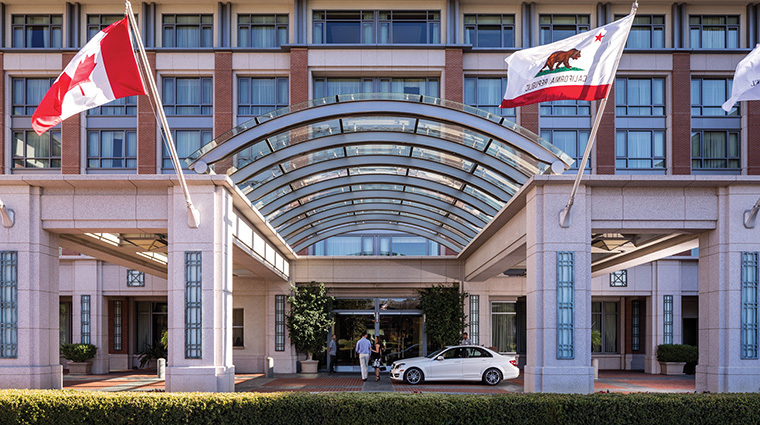 But the California Health & Longevity Institute makes it a wellness retreat. The institute’s services, which are also available for non-guests, include personal training sessions, healthy cooking classes, holistic body assessments, life-balance counseling and much more. 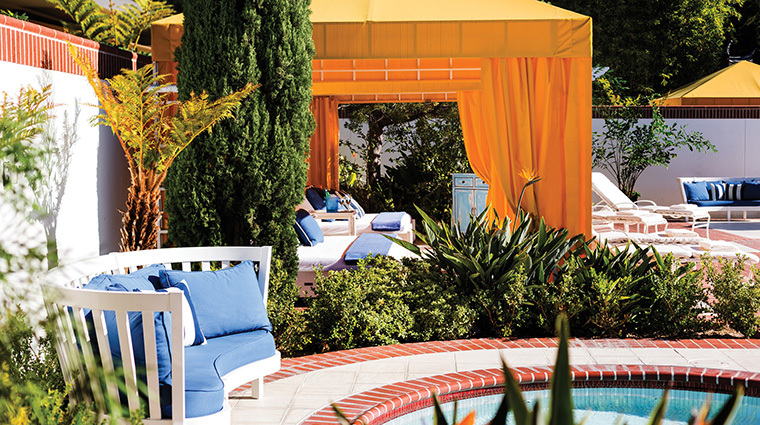 Catch some rays at the tranquil adults-only pool — it features food and beverage service plus cabanas for rent. Enjoy sampling Malibu wines in the modern Tasting Room and then follow it up with a California- and Japan-influenced seafood dinner in Onyx. Kids should visit the two complimentary playrooms — one stocked with toys and games for younger children and one with a ping-pong table, TV and other activities for teenagers. 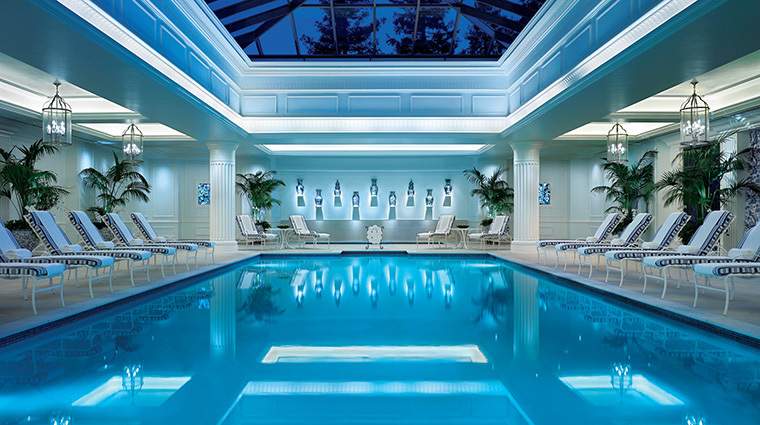 They can also splash around in the family friendly indoor pool. The luxury hotel is in a more residential area. It's closer to Malibu than it is downtown Los Angeles. 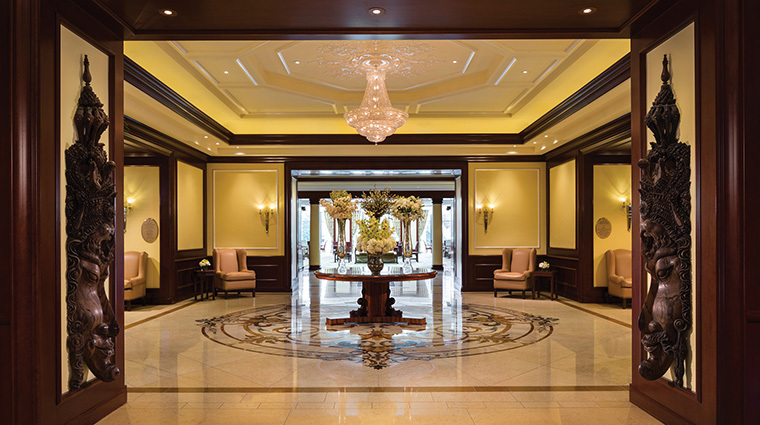 Four Seasons Hotel Westlake Village has 269 guest rooms and 39 suites. Each is decorated in an classic-European-meets-Southeast Asian style — complete with crystal chandeliers hanging over plush beds. Imagine Chinese porcelain lamps and Japanese-inspired art paired with colorful floral print drapes and rugs. Rooms are equipped with customized Four Seasons signature beds, minibars, coffee makers and docking stations. 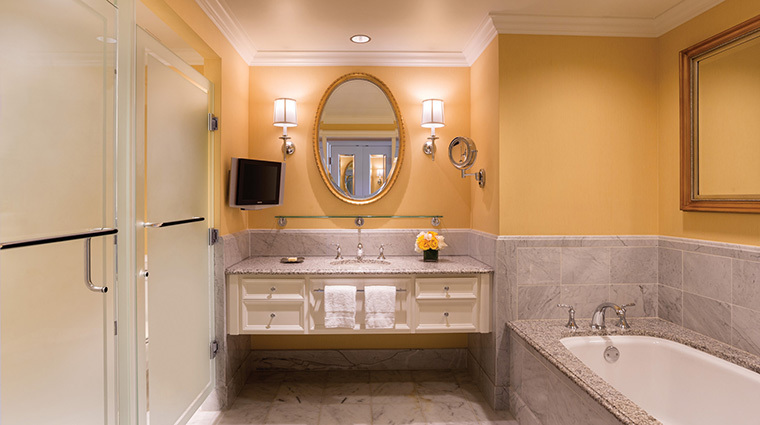 Bathrooms are spacious and have granite and marble accents, large separate tubs and L’Occitane toiletries. Take full advantage of the floor-to-ceiling windows by requesting a room that overlooks the expansive Waterfall Lawn. Running out the door with no time for a meal? 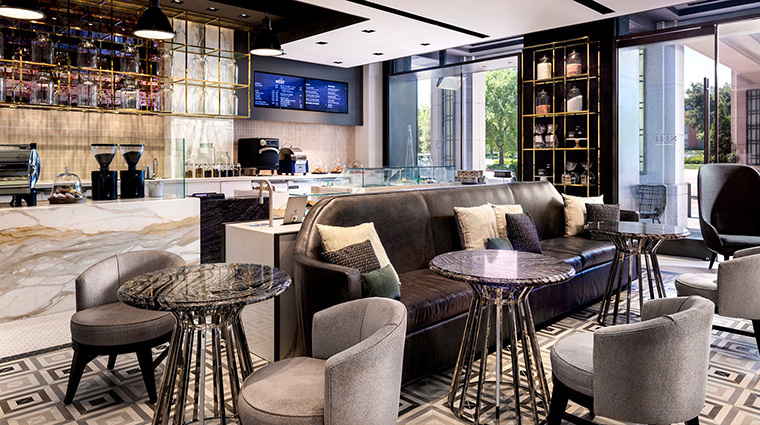 Stop by Stir, a gourmet coffee bar. You’ll find baked goods made by former French Laundry pastry chef Patrick Fahy, caffeinated drinks featuring Stumptown coffee, healthy to-go wraps and fresh pressed juice. The Lobby Lounge serves healthy and indulgent California-inspired cuisine alongside eye-grabbing views of the waterfall. 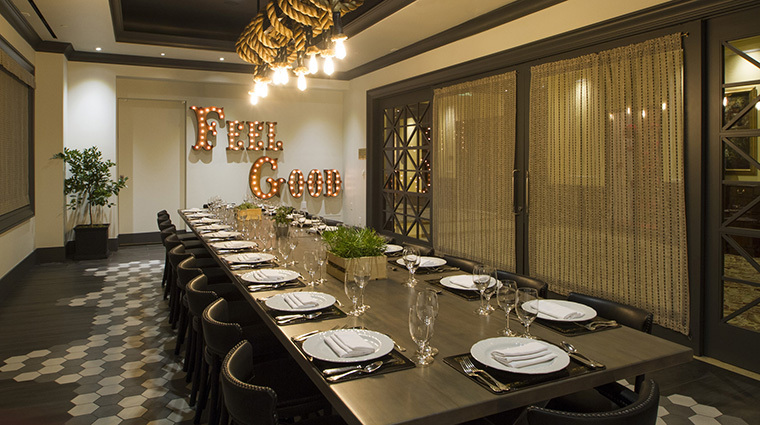 Expect straight-from-the-garden vegetables, fresh seafood and an extravagant champagne brunch on weekends. 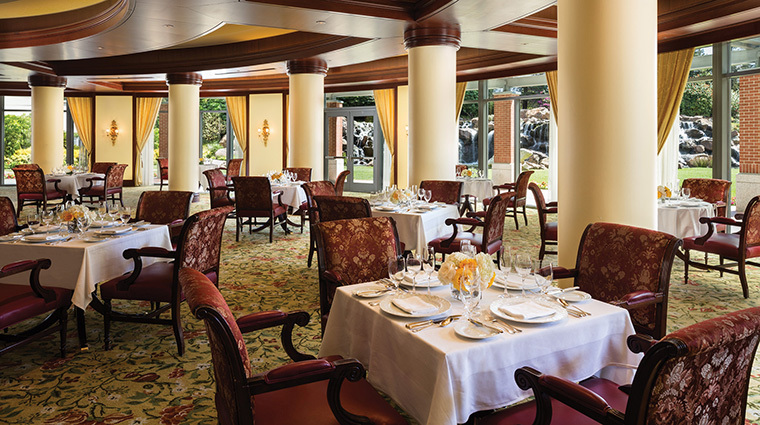 Onyx Restaurant, the hotel’s signature spot, features modern Japanese cuisine. Helmed by chef Masasuke “Masa” Shimakawa, Onyx’s menu is diverse — you’ll find sashimi (we recommend the hamachi topped with yuzu) or seared striploin served with soy and Japanese barbecue dipping sauces. Be sure to save room for the chocolate cake laced with Japanese whiskey. If cozying up in a leather wing-back chair next to a fireplace with whiskey in hand sounds like pure perfection, head to The Bar. Catch live music Friday and Saturday evenings or watch a game on the large plasma TV. 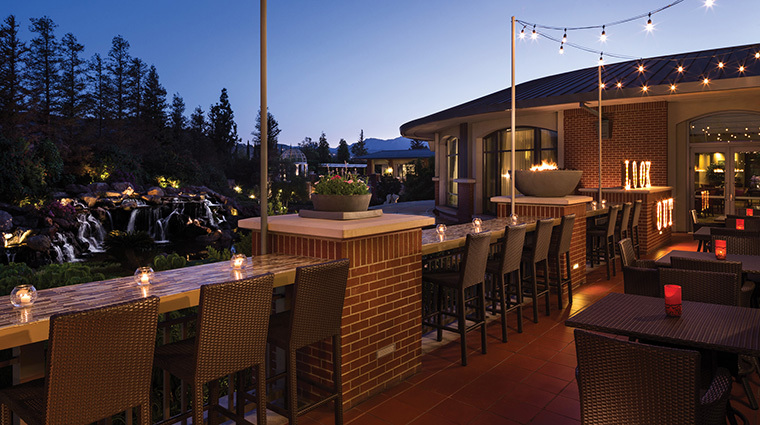 If toasting alfresco is more your style, check out the outdoor lounge, The Lookout, next to The Bar and Lobby Lounge. The Tasting Room is a great place to experience local terroir. 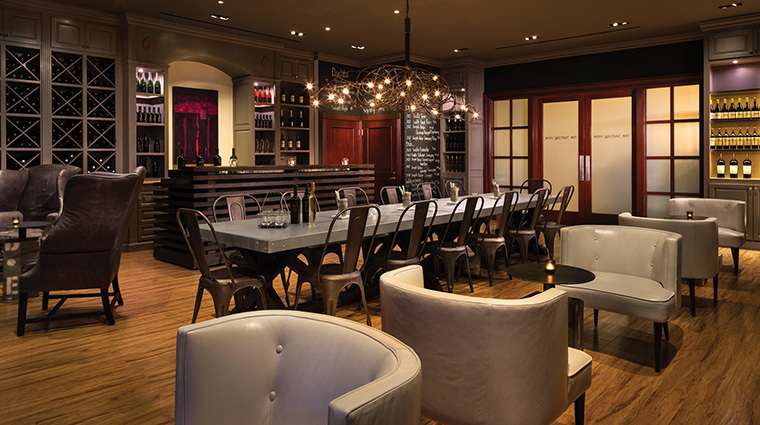 The wine bar pours a large selection of regional wines from the Malibu Coast and elsewhere in California. The international wine list is expansive, too. To boot, twice a month there’s live comedy on Saturday nights. Small plates are also available to pair with tastings.